GoXtra News: Pitch Black Afro Blames Jealous People For His Career Knock! Pitch Black Afro Blames Jealous People For His Career Knock! Despite that, the Zonke Bonke hit-maker is back! In case you thought Pitch Black Afro’s music career was a thing of the past, think again! The comedic styled rapper returns after a significant hiatus with a brand new mini-album, Joy Cometh In The Morning, produced and released by his own company Big Boss Productions. The Afro Man says after facing a lot of challenges in his life, he is back with a bang. “The single Joy Cometh In The Morning is my inspiration”, he continues. “I know the style might a bit different from what people are expecting but I had to write a song that will motivate me and hopefully motivate others when all hope is lost”, he says. 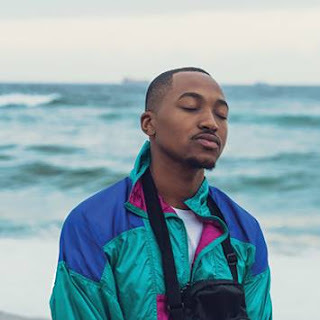 Pitch adds that even though he hasn’t released an album for so long, there hasn’t been any local hip-hop artist to break his double-platinum record. “They tried and failed to break my record. My gap still exists in the industry, nobody has occupied it”. Even though he feels this may sounds egotistical, he guarantees its literally just the truth. Pitch Black is not only back in the music world, but he has also involved himself in a host of activities to aid the youth in avoiding the challenges he went through. “I broke my back performing at an event after releasing my album Zonke Bonke in 2010. Some jealous people attacked me and I got hurt so bad I couldn't do anything”, he states. After the accident Pitch Black went back to school to further his studies in music as he has a degree in Classical Piano from Wits University. “I’ve been helping other people. I’ve even played in a local film titled Taka Taka with Trevor Noah, Anele Mdoda and Kagiso Lediga.” Pitch wanted to further his career so that when his inevitable come-back should occur, he would have more musical knowledge under his belt.